Ford experimented with engine performance in the 1960s. The push to battle Chevrolet and Pontiac helped create the 351 engine block. Vehicles like the Mustang were improved with the installation of this engine. The large 5.8L size gives some of the most horsepower ever made available to drivers. 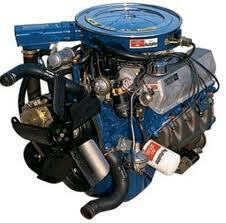 The 351 Windsor crate motor found on this website is an OEM version. Because these engines are still produced, we are able to acquire these for sale. Our company supplies what some call the best crate engine prices. You never pay retail when ordering from our company. If you own an LTD, Crown Victoria or Mustang you know the 351. Building a project car with a great engine provides a solid foundation. Our company is one of the main suppliers for the 5.8L Windsor. The new builds that are sold through our website and toll-free number provide quality. It’s easy to sell junkyard motors. It’s not easy to find brand new motors for cheap. We strive to give you the best engine prices. We know the complications and delays that happen in the industry. Our team works extra hard to provide the best service for every customer. It’s typical for sellers to forget buyers after sales are made. We know most of our customers. Our company reputation is built on conversation. We know what customers want. We deal exclusively in requested engines. The 351 and other popular sizes are sold here. One thing we do differently is protect all buyers. This protection comes from a great warranty. The crate motors sold to our customers come with warranties attached. These warranties provide wear and tear and unlimited mileage protection. The 36-month protection covers a lot of use in these replacement motors. These motors are OEM and ready to impress. Apart from the low price, our company ships fast. This is important to know. We don’t make customers wait. Too many retailers cause installation delays. Since most of our clients are in the trade industry, we know the importance of deadlines. Our shipments are always expedited. Our deliveries are always on time. Each crate shipped is guaranteed to be damage free. All of these options are offered for no extra cost. These are our ways of saying thank you to loyal customers. A 351 engine is a powerful thing to own. Attaching a low price is our specialty. Each motor is individually priced. The absence of pricing here is for a reason. Customers deserve accurate pricing. Our inventory constantly changes. We supply accurate pricing through quotes. These quotes include more than engine costs. Information about shipping, warranties and other details are provided with a quote. Calling toll-free is easy way to receive this information. Online quotes can be generated using the form on this website.